Fr. Pat Keane, pastor of St. Thomas Aquinas Parish, Ojai, California, began writing a monthly letter to the people of the parish shortly after he became pastor. They are short letters, only one of them exceeds one page. They were distributed by mail and, surprisingly, though enclosed with the monthly offertory envelopes, they were read. Many parishioners even posted them on their refrigerators. These two notebooks contain a large selection of Fr. Pat’s letters. Letters which were of a informational nature about parish concerns (upcoming parish missions, financial reports, etc.) have been omitted. Certain elements of the letters are clearly set within time, circumstance, and purpose, but the reader can put those “particularities” (one of Pat’s words) aside and the thoughts and message hold up, still enlighten, and often, delight. Augustine said that “he learned by writing, and by writing learned.” For Pat, it seems, in writing he disclosed. By nature Pat was a quiet man of few words. In these letters, however, he reveals himself, his penetrating insights, and spiritual disposition more than he was able or willing to in his informal conversation. In these letters we have a window on the mind and heart of a thinking, believing, sometimes struggling, Catholic Christian man – a leader, priest, and religious in the Catholic Church of the late twentieth and early twenty-first centuries. To guide, encourage, and tease the reader into this collection of letters on disparate topics, I have given a preview of letters (the blue pages) that stood out for me or treat topics of special interest. Christian spirituality can be well served by shared contemporary commentary and application of the Gospel message – homilies, letters, reflections, insights, pastoral practice – assembled for the encouragement of Christians. Practical, pastoral theology is being realized on different fronts, from the center of Christian living in the pulpit, in the spoken and written word, in fresh and stimulating ways in many places in our local communities. Too often they are not shared or preserved. This small collection may encourage others to share the wisdom and warmth of other teachers and preachers who have accompanied them on their journeys. In February, 1990, he offers reflections on his experience of the Los Angeles Religious Education Congress in Anaheim (he offers additional insights from the Congress in his letter of March, 1991). He highlights from his experience at the Congress the high profile of laity, women, and diversity in the Church. These topics will be recurring themes in the letters. For those in parish ministry, take a look at Fr. Pat’s clear description of the radical purpose of a parish council (Gospel vision) in his letter of September, 1991. Throughout 1991 he takes on large and tough issues: the first Iraq war and just war theory (January); offers an amazing explanation for the absence of the American flag in the church sanctuary (February); and offers a profound understanding of patriotism in July. Following on Easter, 1992, Pat takes on the alarming contrast of the killing of Jesus and the execution of convicted murderer Robert Harris, both deaths are judgment on our society. In June, 1993, Pat bridges from a tour given to children preparing for First Communion to reflection on the changes in liturgy and behavior in church and the importance of awe and reverence in sacred places and actions. Letters for 1994 are a cavalcade of diverse topics: the clergy sexual abuse; the possible symbolism of earthquake damaged freeways; girls as altar servers; the O.J. Simpson trial; a re-visit of the Age of Aquarius; the Catholic position on the immigration debate; and a Christmas pageant in Chalaco, Peru. By now, those who have read some of these letters will have captured the manner and method in Pat’s pastoral writing. His topics and concerns come from reflection on the events and experiences of the day in the light of the Gospel. Pat’s writing, however, exceeds commentary on the Scripture in response to reportage, the Bible in conversation with contemporary events. He adds and blends Catholic experience, tradition, and common sense with light humor to weave a rich and more comprehensive and engaging spiritual understanding of common experiences and public concerns. Pat’s January letters (e.g., that of 1996) have recurrent themes: the apparent insignificance of our unreported personal events of the past year compared to those of the powerful and famous (a comparison which he corrects); and the impact of the Incarnation, its relevance to our lives. Readers who have picked up this second volume of Fr. Pat’s letters (1998-2005) without looking at the first might want to read the introduction to the first volume (1989-1997) to learn of their origin. For those who are continuing reading letters in this second volume after completing the first volume, there will be little need for introduction. In addition to themes I have called to your attention in the blue pages of the previous volume, I now call to your attention the frequency of themes that were evidently dear to Fr. Pat’s heart: Mary, the priesthood, and the Augustinian Order. In addition, note the frequency of his references to papal and episcopal teachings. Deep reasons for the need of small groups in parishes, January, 1998. Talk of war, May, 1999, December, 2001, November, 2002, April, 2003. Holiday colors and “the blues,” January, 2001. Scandal in the Church and re-building trust, August, 2002, January, 2003. La Posada, Jesus, and U.S. migration policy, January, 2004. “It takes a whole parish to form a disciple.” July, 2004. It is with no small blend of sadness mixed with gratitude and joy that the Augustinian Province of St. Augustine in the West announces the death of our brother, Rev. Patrick J. Keane O.S.A. On December 11th he died at St. Augustine Monastery in San Diego after long bouts of pulmonary and post- polio complications. Pat was born in San Diego, California on March 14, 1926 to Patrick Keane, a native of Ireland, and Leona Karrels. His sisters Rita Wyckoff and Sister Helen Keane SCL predecease him. Fr. Keane professed vows in the Order of St. Augustine on September 10, 1946. He graduated from Villanova University in 1949, obtained a Masters Degree from Catholic University in mathematics, and was ordained a priest on May 31, 1952. In 1953, Fr. Keane was missioned to his first priestly assignment, as a teacher at St. Augustine High School in San Diego. In 1962 he became principal of St. Augustine and served there until he was elected prior provincial (superior) of the California province in 1975. Whenever he led, he always did so by example. While provincial he participated in marches with Cesar Chavez in support of the United Farm Workers. In 1983, after serving two terms as provincial, he was assigned to St. Mary’s High School in Medford, Oregon. While there only a few weeks, he was called to Rome to be an Assistant General of the Order of St. Augustine. During much of this time, he was also on the formation team for the Augustinian novitiate in Racine, Wisconsin. 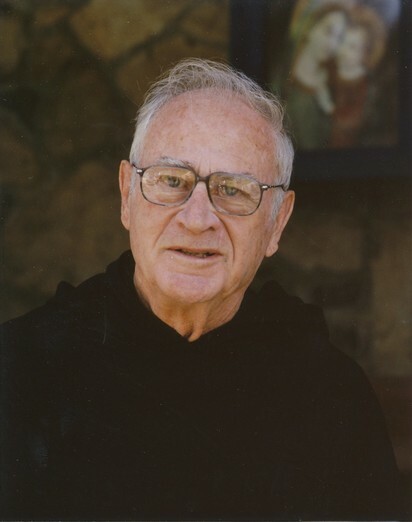 In 1989 he became the pastor of St. Thomas Aquinas parish in Ojai. From 2005 to 2009 he served that parish as pastor emeritus. In 2009 he returned to the place where he started — the St. Augustine’s community in San Diego. Despite all his accomplishments, nothing was as significant as his role of witness to Christ’s suffering. In 1954, while still very much a new priest, Fr. Pat was on vacation in Mexico. While there he became paralyzed and was soon in a Texas hospital in the grip of polio. For the rest of his life Fr. Pat had effects of the debilitating disease. With all his pain, his difficulty in seating, standing and walking, Fr. Pat never complained, and accepted his cross with grace. Now, as with Christ, his cross has led to a joyful resurrection. Fr. Pat was a leader who was not known for making quick decisions. But when decisions needed to be made, Pat always made the right ones, and never doing so before turning it over to prayer. Outwardly, he never seemed to let too many things bother him. When he was principal of St. Augustine, he would often end a challenging day —and there were many of them — by inviting others to join him at the beach. He was a pied-piper who never chose to be one. He simply did God’s will and people followed him. He loved being an Augustinian priest and his students, parishioners and other Augustinians basked in the warmth of his gentility, sense of humor, and his displayed interiority. All are invited to pay their respects to Fr. Pat on Tuesday afternoon, December 13th at 4:00 at St. Augustine High School Chapel. Fr. Pat’s funeral mass will be celebrated at St. Patrick’s Church (3585 30th St., San Diego) on Wednesday, December 14 at 1:00 in the afternoon. Light refreshments will be served in the hall after the liturgy. On the occasion of the funeral liturgy at St. Patrick’s parish for Pat Keane, OSA, on December 14, 2011. Each month while Pat was pastor of St. Thomas Parish, Ojai, he sent a letter to parishioners. Despite the fact that the letters were sent along with the offertory envelopes, they were read carefully and with appreciation. They revealed, with depth and in an accessible manner, reflections of a faith-filled and sensitive, thinking Catholic pastor on matters important to those who wanted to be more faithful disciples of Christ. The “particularity” – an unusual word – of the life of Christ, the particularity of Pat’s life and our own. The particularity of those who were chosen at the seashore, each with name, and family, friends, personal qualities, personalities – shaped by culture, circumstance, and unforeseen challenges. It is with and within our ordinary lives and their fabric that God finds expression. Pat, formed perhaps, by the particularity of his Irish roots, was something of the Quiet Man. He did not wear his heart on his sleeve, but we knew him by his ways and deeds. Compassion expressed in reticence of speech, and un-proclaimed acts of kindness. And overall, a serious life lived with a certain lightness of being, and dry humor based in the reality of things. Tell the earth that I have loved it more than I have ever dared to say. We know that he was stricken with polio at 28 yrs. of age. The determination with which he survived and dealt with its subsequent hardships – limbs that did not work as they should, compromised breathing – were the quiet backdrop to all his accomplishments and were part of his particularity. And another hardship – unknown to most of us, and which almost prevented his entering the Order – he was blind in one eye since birth. We know that he was a leader in school and the Order from 1962 through 1983, a time of great change and challenge in the Church after the Second Vatican Council – he did so with great wisdom and grace – and with a determination one could see at time of stress in his fixed grey eyes. Looking over the past month I have a disquieting feeling that my major accomplishment was helping choose the color for painting the church. Much time, energy and worry went into that selection. Now that the choice has been made, I am not so much concerned that the Lord of Hosts will look down and be displeased at what he sees, as that he will wonder at the fuss. Part of my problem was that while I was stewing over color charts and checking out samples I was reading a work on spiritual leadership in the Church. Nothing, nothing at all about paint or buildings but lots to consider about building up a community that is truly a people of God, faithful to the Gospels, committed to truth and service. No one may dare attempt to crack open the mystery of another’s life. Through the grace of God – generously given not only to Pat but to all of us – we capture glimpses of grace revealed in ever original fashion in each of our lives. What we do know is that the resurrection and ascension of Jesus broke the time-space constraints of his particularity. Jesus who 2000 years ago was born in Bethlehem, raised in Nazareth, preached in Capharnaum, and died in Jerusalem, through the mystery of the Church is now present among us. Let me conclude with the words of the poet Gerard Manley Hopkins, words that are remarkably appropriate for our time together at this Eucharist and of keeping Pat’s memory. Acts in God’s eye what in God’s eye he is – Christ.